New Delhi, Nov 21: The Centre on Tuesday told the Supreme Court that Delhi can never be considered as a State as the Indian Constitution never envisaged such a status for it and doing so would lead to an "inevitable chaos". 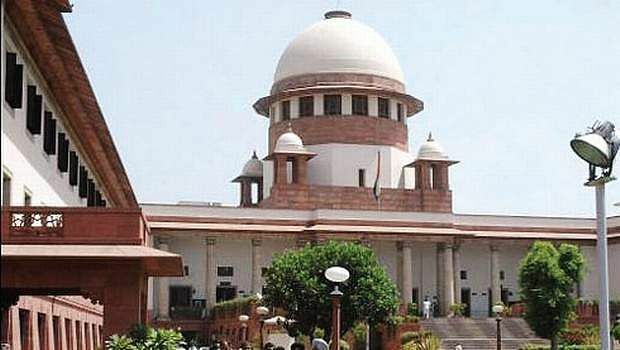 "What is not provided in the Constitution specifically can't be conferred on the Union Territory of Delhi by mere interpretation of the Constitution," Additional Solicitor General Maninder Singh told a five-judge Constitution Bench headed by Chief Justice Dipak Misra. The ASG also told the bench, also comprising Justices A.K. Sikri, A.M. Khanwilkar, D.Y. Chandrachud, and Ashok Bhushan, that none of the senior counsel for the Delhi government argued that Delhi was a state but sought the status by way of interpretation of the constitutional provisions. "The status of (Delhi as a) State is not sought on the text and context of the Constitution but by its interpretation by the court (by) citing principles, Westminster model and accountability," Maninder Singh, appearing for the Centre, told the bench while rebutting Delhi government's arguments on the matter. "If you have to treat a Union Territory as a State, then the Constitution must provide for it or say so. Unless there is a specific mention, you can't read State into it. It will result in inevitable chaos," the ASG told the bench. "The demand is that I am not a State but treat me as a State." Senior counsel Rajiv Dhavan reminded Singh that at no stage had any one of them, who appeared for the Delhi government, argued that Delhi was a State. Except for senior counsel Shekhar Naphade, none of the four senior counsel -- Gopal Subramanium, P. Chidambaram, Indira Jaising, and Rajeev Dhavan -- said that Delhi was a State. In fact, Gopal Subramanium commenced his arguments by saying that Delhi is a Union territory and not a State and they were not seeking the statehood for the national capital. Maninder Singh told the bench that whichever way one may look at Article 239AA -- the special provision under which Delhi was conferred a legislative assembly -- as an overall scheme of constitutional set-up or even as a standalone provision, statehood can't be read into the Delhi set-up. The bench is hearing a batch of petitions by the Delhi government to challenge a Delhi High Court order that held that the Lt Governor had the final authority in the governance of the national capital. Defending the High Court verdict, the ASG referred to the 1987 committee set up by the Centre to examine the demand of statehood for Delhi by various political parties. The ASG said the committee had expressly rejected the full statehood demand by saying that only such of these powers, which the democratically elected councillors can exercise, can be vested in the Union Territory of Delhi. Denying that the Lt Governor was sitting on lakhs of files, thereby paralysing the functioning of the Aam Aadmi Party government in Delhi, Maninder Singh said the Lt Governor had called for 650 files in three years and of these only three files relating to police, that fell in the domain of the Centre, were sent to the President. The ASG will continue his arguments on Wednesday.